RICHARDSON — The University of Texas at Dallas isn’t waiting for a train. Near the planned UTD stop along the prospective $1.1 billion Cotton Belt commuter rail line, apartments with ground-floor retail are now open. Thai food and bubble tea are already here, even though the train won’t be until at least 2022. 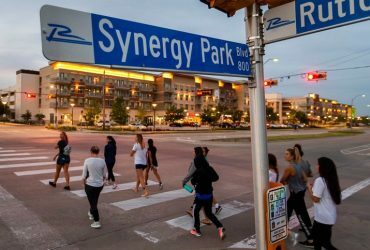 Mixed-use spots near train stops such as UTD’s Northside — think Mockingbird Station, the vaunted model for transit-oriented developments — usually come only after DART rail has arrived. 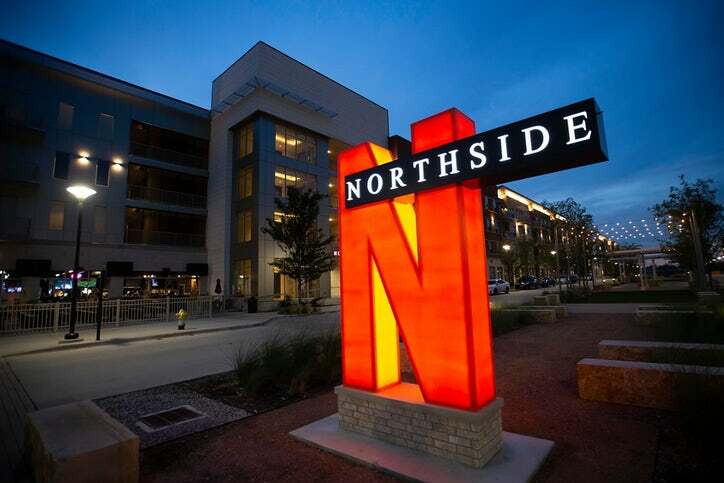 But Northside came first because it represents a convergence of DART’s, Richardson’s and UTD’s interests. DART wants to expand its more than 100-mile rail system and sees UTD as a prime stop. UTD, once a commuter-centric school, has spent recent years trying to become a more walkable campus with a more vibrant culture. When the Cotton Belt arrives at UTD’s northern end, the train will connect the campus to job centers in Plano, Richardson, Addison, Carrollton, Dallas’ new Cypress Waters development and DFW International Airport. The UTD Station will also be one stop away from Richardson’s CityLine, a north-south light rail connection to the rest of the DART system. Jamison said UTD has gone from no bus service in 2008 to hundreds of riders each day — mostly on the connector route from CityLine. The value of the entire $1.1 billion Cotton Belt line — most of the funding will come from a federal loan — has been hotly debated in recent years. Some residents along the line have tried to fight it. And some Dallas officials have questioned whether the ridership numbers justify the train line and want the transit agency to focus its time and money instead on a downtown Dallas subway and an overhaul of bus service. The Dallas City Council even replaced DART board members that supported the Cotton Belt. The DART board is moving forward with the subway and the bus plan, too. Recently, they have discussed sound mitigation and traffic intersections to help address residents’ concerns. The board is also weighing whether to eliminate two of the planned stops — at Preston and Coit Roads — in the city of Dallas, where council members have supported the eliminations. The plans fit with the campus’ efforts in recent years to create an urban vibe. Before Northside, the university added 3,500 dorm and apartment beds, 10,000 parking spaces and three parking garages. As the campus has grown, UTD has tried to maintain a maximum 10-minute walking distance between on-campus destinations while adding 6,000 trees and five reflecting pools — a stark contrast with the open prairie look of the university’s first 40 years. And a decade ago, UTD had only five places to eat. Now, it has 23. Ice cream, halal, a Jimmy John’s and a couple bars round out the current retail offerings at Northside. Construction crews were working feverishly to have a 7-Eleven open by August.